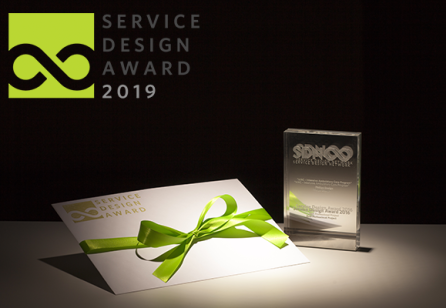 This project was a finalist for the Service Design Award 2016 in the category: Non-profit/ Public Sector, professional work. The City of Helsinki is a big organization, in which performance and development discussion are a major part of the HR development activities. Unfortunately, the current discussion models are outdated and not serving their purpose anymore. 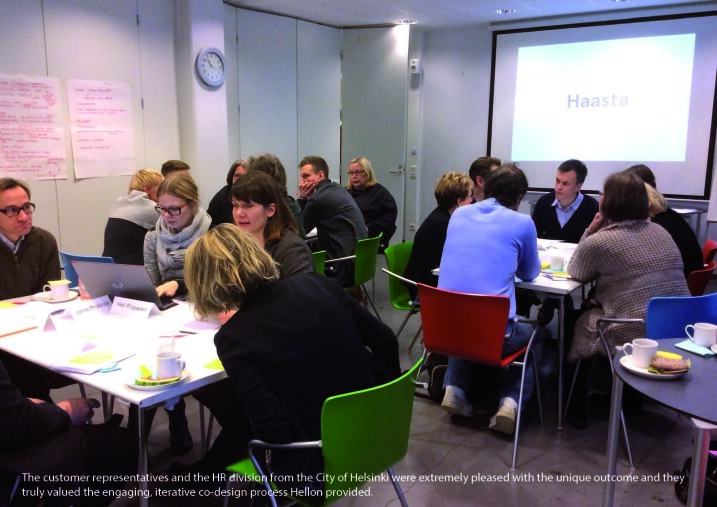 Previous research commissioned by the City of Helsinki about the usefulness of the development discussions process found out that only 39% of the personnel found the conversation useful. Hellon was briefed to reimagine and update the performance and development discussions process to increase the perceived usefulness of the discussions both by managers and their employees. 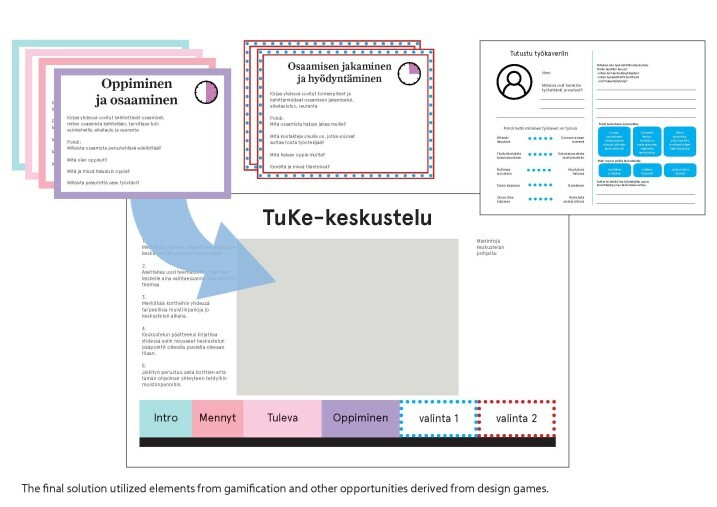 New kinds of participatory tools and service design methods as well as design games were needed to build an inclusive process that would take into account the wide range of end users. Hellon’s human-centered design process was needed to take into account the multitude of needs of needs of the users. From the start of the project, Hellon found that a central challenge was presented by the sheer scale of the organization: the City of Helsinki has about 40 000 employees. The employees range from officials with doctoral backgrounds to people working in maintenance. Hellon identified a key challenge in the wide variety of readiness and capabilities amongst the employees in preparing for the development discussions, the discussions themselves and the follow- up process. The earlier development discussions process was largely based on a multi-page form and it didn’t answer to the multitude of needs of the managers and their different employees. Managers felt that they weren’t able to focus on the employee. Hellon also identified that silent, yet important, information was very often left outside of these discussions. Furthermore, by reflecting on the roles of the managers and the employees, it became apparent that the whole process was very one-sided. Interaction was hardly in focus at all in the discussions. After gathering insight from the desktop study phase, Hellon first needed to find a way to get everyone on the same page. As the form- based process was so rigid and bureaucratic, Hellon decided to visualize the process. To succeed in this, the development discussions were visualized into a “yearly clock”. By this innovative information visualization, everybody saw what the key goals, objects and internal relations of the different phases of the discussions were. Next, the visualized yearly clock designed by Hellon was used in the first co-design workshop with the manger from the city’s various divisions. They yearly clock was used to identify the biggest problems in the different phases of discussions. The managers had first-hand knowledge of the different issues and frustrations of attempting to use the same form with very different types of employees with various backgrounds and expectations. Some had used the form very much as-is, while other had personally customized it or used it less. To make sure that the new solution and concept would come from the managers themselves, the first workshop facilitated by Hellon made use of a three-part Round-robin method. In this method, everyone ideates in teams and then the ideas are rotated so a new team criticizes the idea the previous team has invented. After a final rotation, teams found solutions for the critique. This way all participants are involved and all get to ideate, criticize and solve. 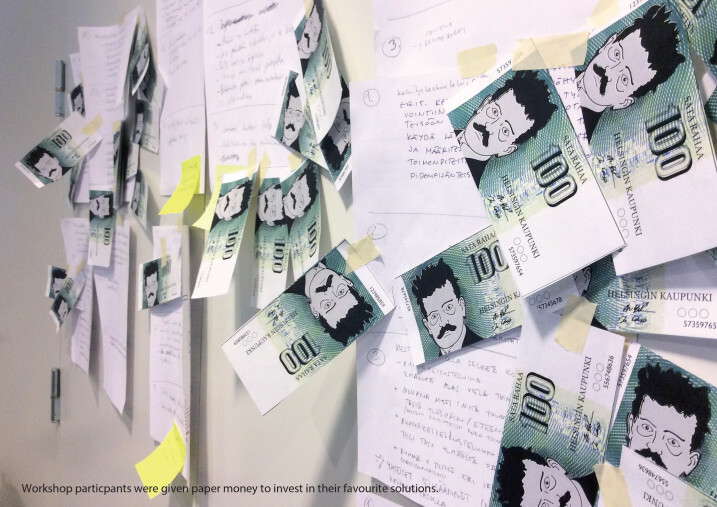 At the end of this workshop, the managers all got to choose their favorite ideas by “investing” paper money. Based o this prioritizing, Hellon developed approximately twenty different concepts from which Hellon prioritized the most promising ones for further development along with the city planners from HR divisions. 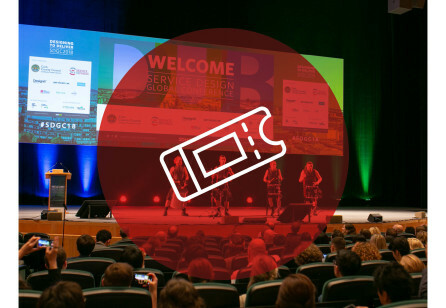 Guided by the first workshop and the preliminary concepts, Hellon designed the first prototypes of new kinds of flexible discussion tools, which were customizable based on different employee tasks and personal needs. After the initial design process, the centerpiece of the new model was the tool most liked by the managers; a “theme-bank” where you could pick your discussion themes from a pool of different ideas. This idea was then developed through visualization and gamification into a board game and theme cards. The strongest guideline was that the same content isn’t suitable for all, and individual needs and wants must be taken into account. In the prototype based on the cards, the manger and the employee can together customize the subjects that need to be discussed, based on a selection of themes. The first version of the board game and the theme cards were shown to the managers and then refined based on their feedback, before the first round of testing in actual use. Hellon’s agile testing with users played a big role in the project as the prototypes were tested in actual development discussions at the start of the year 2016. During the agile piloting period, 11 managers tried the model and the accompanying tools in their development discussion with various employees. Many of these managers started immediately using the new model in all of their development discussions. To keep the amount of feedback manageable, 16 employees were also given the feedback form. The feedback from the mangers and the employees was both largely positive and very constructive. After, Hellon selected two managers and two employees for in-depth interviews. From the survey feedback, Hellon already had a good idea of what the remaining issues with the discussions model were, but the interviews were especially helpful in fleshing out some of the finer details e.g. how the documentation of the discussions process should be handled. Based on the feedback from the survey and the interviews, we refined the details of the development discussion model and made a clear roadmap so the client could continue the development of the model and better prepare for implementation. In the new development discussions model designed by Hellon, the interaction between the manager and the employee has turned into a key concept. The new process starts with preparatory questions and a separate “get to know your workmate” quiz which encourages the managers to really think about the employees and how they could best be served by the process. At an early stage, Hellon received important feedback that users first felt the tone of the quiz was negative, and some interpret it more as making a registry of employees, which was not the aim. With slightly different context and instructions, the quiz became more as was intended- a light-hearted way for the manager to think about the personalities of their employees. A not-so flashy, but well received little detail of the model was that the employees are asked to get feedback from their colleagues before the development discussions. One employee interviewed said that “It was really good that we had to get feedback and it was fair because everyone had to do it. Some even asked for multiple feedbacks from different people and really wished for constructive criticism. I think this’ll be part of building a new kind of culture of actually getting feedback on what you do!”. The model built by Hellon had two main, slightly gamified components, the playing cards and the game board. The cards include the central questions of the development discussions process sorted into different themes. Each theme has multiple questions to bring out central issues relevant to the themes The number of different themes is quite high to give a wide variety of options, from possibilities like: last year, upcoming challenges, skills and capabilities, sharing knowledge, career, core functions, employee well-being, transformation of the workplace, tools and methods in use, leadership. The idea is to pick out 4-6 that are most relevant. The entire model was designed so that emphasis is on future development, but also the past year is considered. In addition to giving a visualized timeline to the conversation, the model also works as a means of facilitation contain step-by-step instructions to follow when needed. Hellon designed the model so that it can be used either manually or digitally to conclude the content of the conversations. One of the key aims for Hellon was to provide a solution, tools and a process, that supports the employee experience of the largest employer in Finland. Together with the client, it was identified that the yearly performance and development discussion is one of the key elements where the employee experience could be improved. Getting people to invested and genuinely excited about this new development discussions process was a central success in this project, along with facilitating a change of mindset amongst the managers of the city. By involving different participants over the city division boundaries in the development, Hellon managed to get people committed to the updated model at a very early stage. Hellon’s development process steeped in agile methods and the constant feedback brought a forward-looking, participatory atmosphere to the different workplaces involved. This became the key foundation upon which to build further development of similar models. The end result of the process was the new development discussions model and a roadmap for implementation and scaling. AS the model was deployed partially in the client organization already in the prototype phase, many of the managers wanted to immediately put it into use, stating that “Going back to the old system would be impossible after this. The client from the HR division gave Hellon 10 out of 10 points in their feedback format. They valued Hellon’s communication and project management skills as well as our innovative design methods and ability to create strong sustainable outcomes for a complex problem such as this. The results support the premise of this project, which was that the lack of interaction was the most troublesome element of the development discussions processes. Now when employees are greatly involved in the content of the discussions, and the perceived usefulness has not only risen, but both the managers and the employee’s perspectives on usefulness have been unified. After the collaboration, the client has stated receiving requests to gain access to it from departments who were not yet part of the group doing the prototyping. Other public sector organizations have also approached with an interest to update their performance and development discussion-model. So far, the Finnish Police Force has been impressed by the project outcome and have shown interest in implementing a similar method in their organization. 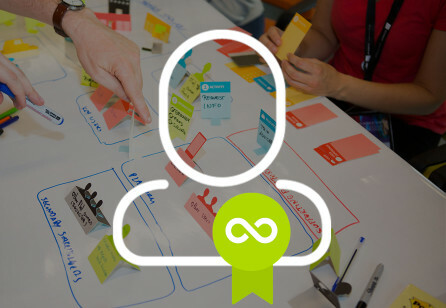 What makes this public sector collaboration extremely successful and unique, is that City of Helsinki wanted to solve their well-known, complex and extensive problem through Hellon’s human-centric service design, engaging co-design and agile prototyping methods. The challenges within the public sector are often complex due to limited resources yet several demands from several stakeholders. However, this collaboration is now a significant forerunner example to be codified and scaled to solve any type of problems of the public sector. 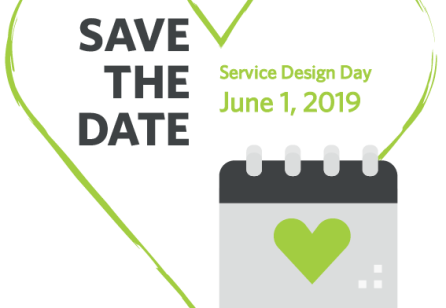 As the outcome of this project is well acknowledged by City of Helsinki, and the feedback has been consistently positive, this open interest, buy-in and most of all trust towards service design and its methodology in a much larger scale as well. How Hellon created an innovative, modern and engaging solution to conduct performance and development discussions for Finland’s largest employer, City of Helsinki.